This pickled garlic recipe is simple and tasty! Now that my garlic is planted in the garden I am already planning to make pickled garlic. Not only is pickled garlic a mellow, tasty addition to recipes it is actually a health food that can boost your immune system (garlic is a natural antibiotic). Using pickled garlic has helped us miss a lot of the yuck going around. You can used the pickled garlic in veggie stir fry, salad dressings or even eat it straight out of the jar. You’ll find that pickled garlic doesn’t have the spice of its fresh counterpart. I always need more than I actually make! Fill the canning jar with the peeled garlic cloves with about a inch of space from the top. Pour your vinegar over the garlic. Add in the tablespoon of kosher salt and any pickling spices you want to use. Put the lid on securely and give the jar a shake to get the salt mixed in. Let it sit in the refrigerator for 1 – 2 weeks before you start using it. The longer it sits, the more mellow the garlic flavor will be when you use it. This jar should keep in the refrigerator for a few months, if it lasts that long. 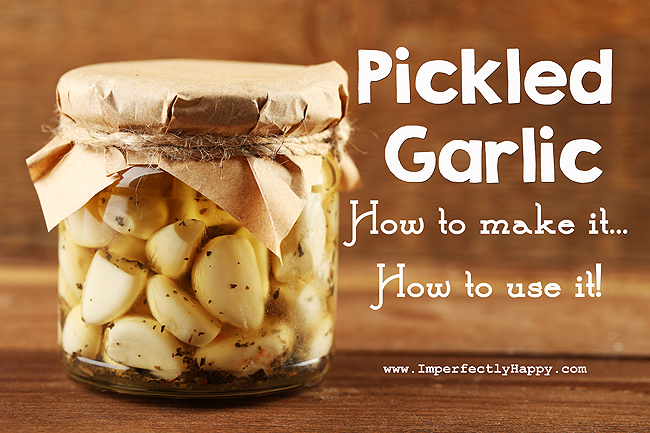 That’s is, an easy pickled garlic recipe you can make with garlic from the store or your garden. Just a side note, if your garlic turns blue, it is still ok to eat. Check out more information on this – PennState Extension. Pickled Eggs & Beets Like Grandma Used to Make! Where is the part about how to use it? 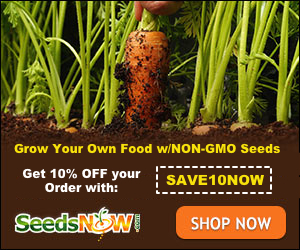 …”You can used the pickled garlic in veggie stir fry, salad dressings or even eat it straight out of the jar. You’ll find that pickled garlic doesn’t have the spice of its fresh counterpart. I always need more than I actually make!” It’s in the blog part.